Trevor was biding his time. Thankfully, the motel Tina Marie spotted had available rooms for tonight, and they were able to get two with an adjoining door. But, however clearly he might remember her passionate kiss from yesterday, he knew better than to make a move on a woman who was determined to be “just friends.” She’d have to come to him first. Which meant he had to be so damn appealing that she couldn’t resist. How to ensure that? Obviously, he needed expert advice. And he knew just where to get it. 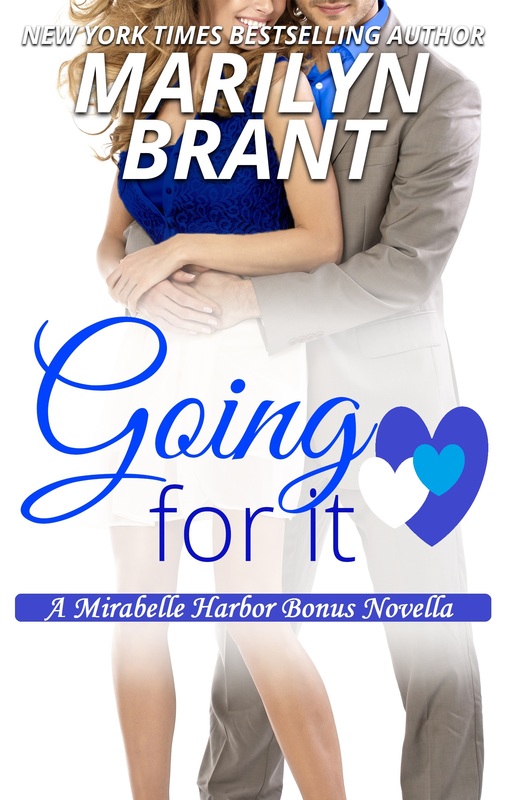 When Tina was getting settled into her motel room, he used the time to unpack, change into a dry shirt, brush his teeth and gargle (a guy’s breath could never be too fresh), and text his buddy, Blake Michaelsen. “Got a sec to answer a few questions?” he typed. Less than fifteen seconds later, his phone buzzed. “Yeah, shoot,” came his friend’s reply. Blake was a popular DJ back home in Mirabelle Harbor. He worked at 102.5 “LOVE” FM and spent most of his days—and occasionally some nights—spinning romantic hits for the masses. Let’s just say, Blake hadn’t been a big believer in love. At least not until he got his heart all tangled up with Vicky, the high-school French teacher. Now he was singing a different tune. “Okay. So, there’s this woman I met. She’s gorgeous. Sweet. We’ve got amazing chemistry, and we’re at a hotel tonight,” Trevor began, sending this first part to Blake. Trevor grinned. Yeah, Blake was more of a talker than a listener. There was a knock on Trevor’s interior door. Tina Marie. “Good ideas, man,” he texted Blake back. “Thanks. Gotta go.” Then he opened the connecting door for her and caught his breath at the sight.